We tucked in a day trip to Victoria on Vancouver Island as part of our Mt. Robson / Kelowna / Vancouver / Victoria / Olympic National Park / Seattle / Vancouver mega trip. Given the very short stay in Victoria, the visit required an extra amount of planning. Ferry tickets to get to Victoria from Tsawwassen to Swartz Bay, and again from Victoria to Port Angelis were purchased well in advance to avoid missing crossings and watching the day go by from the ferry dock. 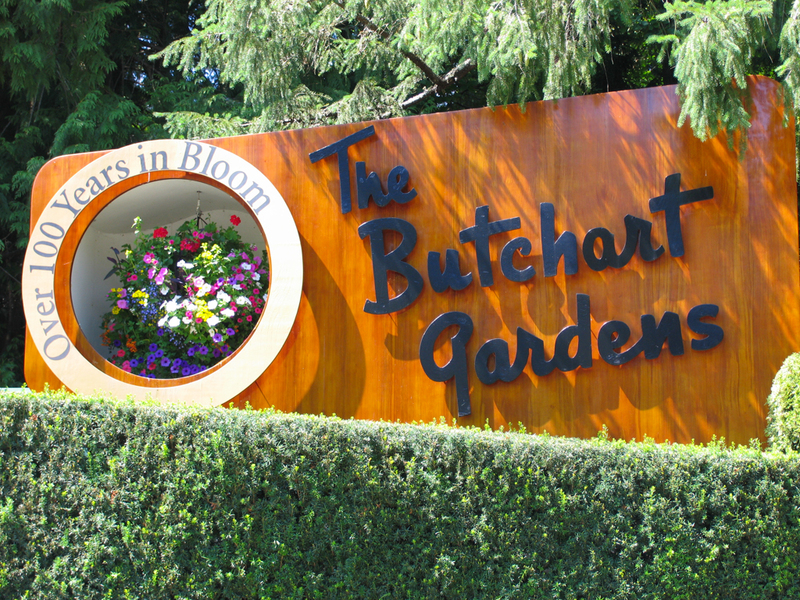 The Butchart Gardens have a very well deserved reputation as a must see destination. I have been to botanical gardens in places like Montreal and Denver in the past, and the Butchart Gardens distinguish themselves in terms of size and beauty. The Gardens turned out to be much smaller than what I had imagined they might be (about 1/4 of the size of the gardens in Montreal), however, their beauty is much more intense visually with what appears to be a profusion of flower beds packed into a small package. The popularity of the Gardens is something to contend with though. Expect large crowds on sunny days, and to have move along like livestock given the narrow paths and volume of human traffic.